Salima Jivraj, the founder of Halal Foodie and the Halal Food Festival in Toronto has become a hot star in one the largest Muslim communities in Canada, Salima has used her food and marketing abilities to bring the Halal food industry, valued at over a billion dollars, to the 21st century. Some great ideas need just one thing: a person that is dedicated to carrying it out. That's exactly who Salima Jivraj, the founder of Halal Foodie and the Halal Food Festival in Toronto has become. Being a part of one the largest Muslim community in Canada, Salima has used her food and marketing abilities to bring the Halal food industry, valued at over a billion dollars, to the 21st century. Sounds like serious stuff, right? You wouldn't know it if you saw Salima and her team, who seem to be having fun with their brand. But is it all fun and feasting? Hardly. As the plans are in motion for the only Halal Food Festival in Canada, Salima and her team have partnered up with Muslim Welfare Centre of Toronto, a service center that offers meals on wheels and has an active food bank. Here is my interview with Miss Halal Foodie herself, who shares how she is giving back to her community with her great idea while still having fun. What made you start Halal Foodie? Two years ago, just after having my second child, I wanted to do something that would utilize my years in the marketing industry, give back to the community and focus on something I'm passionate about. All things pointed to halal food so after a bit of research, found a great niche that was currently not being served and decided to start a website that focused on answering the need for more information on the Toronto halal food scene. My plan is to create a central hub for halal food in Toronto first and then spread to other Canadian cities. You are helping halal food come into the 21st century.How has social media helped with the growth of Halal Foodie? Deciding to focus on social media was both an economical decision and strategic one as well. Social media is inexpensive but it's also a skill to execute properly. By utilizing both social media and search engine optimization I've managed to increase traffic to my site with minimal investment, a huge bonus as a mom of two who also has a full time job with very small startup capital to invest. After two years of hard work, I am finally at a stage where I can grow into what I had envisioned. I've also been blessed with a strong and loyal following -- it's been great meeting new people with their own strong passions; something not so easy to do with other marketing channels. Learning what people want by spending a lot of time just listening has helped shaped the way I provide information to them. My business model is based on advertising; companies want to advertise with halalfoodie.ca because we are able to draw in large numbers from a very targeted demographic. Social media has helped provide statistics and proof that halalfoodie.ca is a good platform for advertising to anyone that wants to speak to our audience. How has the industry reacted to your writing and reviews? Since day one I've had nothing but support, encouragement and shared excitement over halalfoodie.ca. I think people were waiting for something like this and the community has shown a lot of support. Specifically with the industry, restaurant owners tell me all the time that their business has increased and they are really grateful for the exposure. I had a call from one restaurateur recently saying that their business increased by at least 25 per cent and after four weeks is still bringing in new customers. Hearing that I could help a business that was struggling before gives me that push to keep going and it's a huge motivator for me with halalfoodie.ca. How and why did you come up with the concept of the Halal Food Festival? 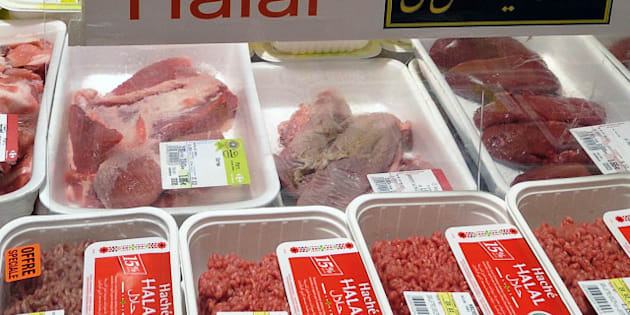 There are other cities around the world hosting halal food festivals that are targeted to consumers. I remember thinking to myself after seeing a YouTube video for one that took place over the summer of 2012 in New Jersey, "I wish someone would throw a festival here -- I would totally go to that!" I took some time to think of who could possibly put something together and there was really no one else I could think of that could do it the way I expected it to happen. It had to be professional and reflect the diversity of our city. Halal Food Festival Toronto also has to be interactive and cater to the Muslim demographic so introducing family friendly areas such as a Kids Zone and Baby Lounge was a must. I took the idea to my husband and he jumped on board. After that, we knew we needed more help and quickly brought on four more members who have been an integral part of the organization. Our key members are all experts in their respected fields and we all share a passion for food and the importance of halal. How is the Halal Food Festival involved with Muslim Welfare Centre? We really wanted to align ourselves to an organization that focused on the local community. We did some research and loved the amazing programs at Muslim Welfare Centre of Toronto. We were really impressed with their food bank, iftar baskets during Ramadan (iftar is the meal after breaking ones fast after sunset) and their halal version of "meals on wheels". They are a hands-on organization and operate right on the front lines of their programs. We are also going to discuss more ideas on how we can help them through halalfoodie.ca once the festival is over as their needs spread year round and we feel it's imperative to help their cause after the festival as well.